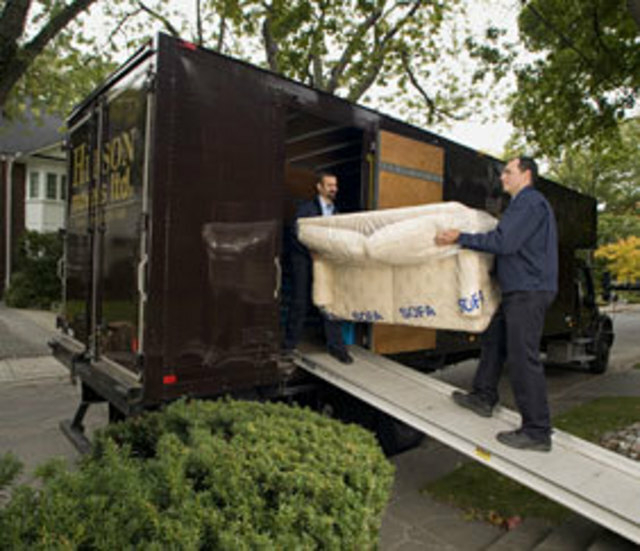 I had an exceptional experience with my move because of Hudson Mover's. The crew of Paul, Chris and Joswa were all amazing. There attention to detail and professionalism helped make my move a positive and stress free experience. I would recommend Hudson Mover's to anyone who values quality services. Way to go guys!! Thanks for your kind words Nellie and your support of Hudson Movers. We're very glad to hear that all went well with your move. We wish you all the best in your new home. This is our moving experience. It began with a home visit by Steffanie. Upon our initial meeting I expressed my fear on how moving companies have been linked to bed bugs. She assured me that bed bugs were a non-issue. As we surveyed the house she provided moving tips on how to prepare which I appreciated. Also she recommended a 4-man crew for all the right reasons. The day of the move arrived with Johnny, Gary, Dan and Richard pulling up in our driveway on a gloomy snowy day. This was the day all the heavy items were to be transferred to the new house. I was feeling the stress to be sure. The boys showed up in good spirits. Their playful attitude started to break-down my stress level. As Johnny surveyed the house he pulled out a hand written letter by Steffanie detailing specific instructions to be conveyed to the moving team. Johnny assured me there would no bed bug issue. That moment took all my stress away. I realized that I picked the right moving company. Then I stepped back and watched the boys tackle the move. The jokes and the playful insults put a smile on my face. I was amazed at the level of intensity that was sustained for such a long period of time. These guys are relentless. What became really obvious and I must say I was not expecting this was the level of pride each one of the boys exhibited. 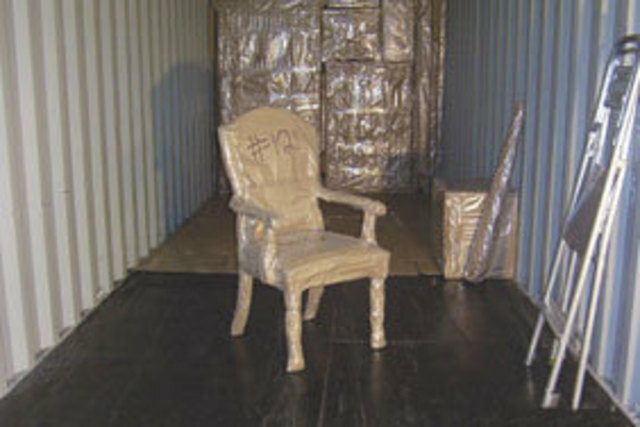 The care that was taken with each piece of furniture and the show of respect for the my old home was comforting. In closing I would like direct the final shout-out to the dispatcher who assigned this veteran crew. Your decision made a world of difference. If I’m ever asked I would recommend Hudson Mover’s and Johnny’s crew. Hi NK, thanks very much for your kind words. We're very glad to hear that Johnny and his team managed to alleviate your stress level on moving day. All of us at Hudson Movers appreciate your support. Thanks again and we wish you all the best in your new home. I am a repeat customer. My relationship with Hudson Movers began in 2008. I was very impressed by their professionalism and courtesy at every point of contact. When the movers treated my furniture like it were their own, I knew that I found my moving company of choice. In fact, Hudson Movers has moved me five times in ten years! Hi M. K. , we truly appreciate your kind words and value your 10 years of loyalty to Hudson Movers. Thank you for your continued support. Best of luck with your new home. As I've been moving around the province with Hudson Movers as my guide since the mid 1970's, I thought it was about time to write you a note of thanks. I believe, that in this instant, I might speak for the majority, when I say that moving is a stressful business. In my experience however, it is clear that Hudson's has learned the art of significantly ameliorating that discomfort. From the time I was young and packed my own belongings, until now, when Hudson Movers pack them for me, not an item has been lost or broken. So thanks to all your team for taking such good care of me. Shane, we are sincerely grateful for your 40+ years of loyalty to Hudson Movers. 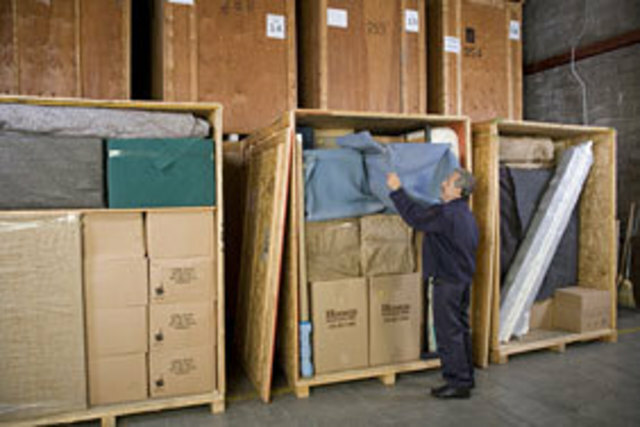 We take pride in putting our clients at ease during the entire stressful moving process. Your support is truly appreciated, thanks from all of us here at Hudson Movers. They were prompt, polite and ready to take charge when needed. They also worked very quickly, unloading in 2.5hours. Kudos to a great team. Two arrived promptly to pack everything on a Wednesday, Thursday three loaded the luck and four delivered on Friday an hour away. They were cheerful and helped whenever asked. Unloading was finished in 2.5 hours. We are very pleased with their service and highly recommend them. We're very glad to hear that the move to your new home went well. Thank you for sharing your compliments of our crew, it's nice to know that they met your expectations. We all hope you enjoy your new home. Thanks again for your support of Hudson Movers. Thanks very much Armand. We're glad to hear that all went well with your move and that we met your expectations. Enjoy your new residence. Super service in every way. From quoting, through packing, to moving day. The staff was very professional and took great care with our possessions. The only thing broken... I took in my car. Leave it to the pros. They're at Hudson movers. Bob, Thank you for your positive words. Our crews alway strive to provide the best service possible. If there is anything we can help you with in the future please don't hesitate to call us. All the best in your new home. 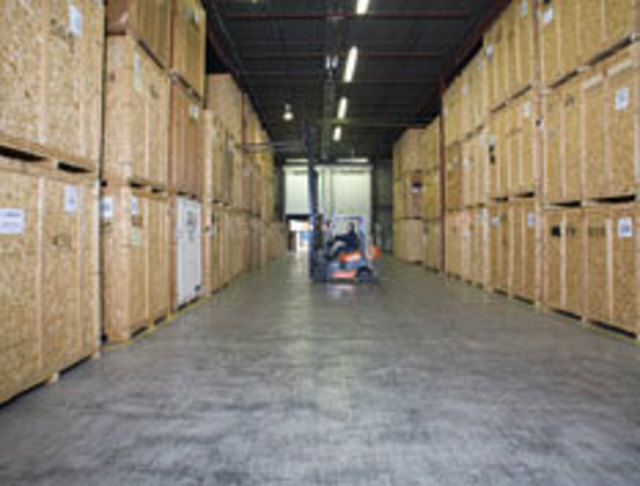 Furniture storage and end-need delivery to charities. 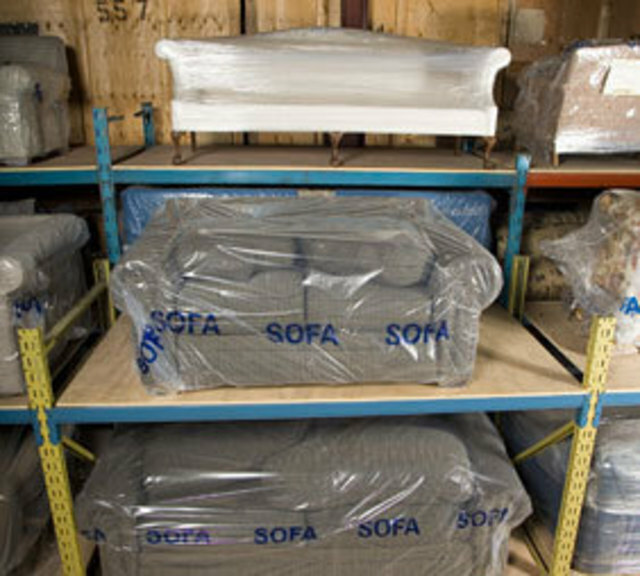 Steady, thoughtful arrangement and execution of the transfer of stored household furniture no longer needed, from the firm's warehouse to charities selected by the firm. Hudson's personal approach made arranging this downsizing step quick and convenient. Thanks Charles, we're very happy to help. Nice to know we met your expectations. This company will do whatever they can to mislead and ding you with ridiculous fees and make your bill as high as possible. On my bill there was a $120 admin fee, a fuel surcharge on top of their travel time which was far greater than what I expected, $95 for a cardboard TV box and insane packing fees. My original estimate provided by Stephanie meant nothing as I ended up selling all my furniture and no longer required storage. Despite doing this, my bill was the same as the original estimate even though I only had pre packaged boxes and a desk. When I attempted to call the company to discuss my bill, Margaret told me that I had signed and too bad. It is so frustrating that companies like Hudson would take advantage and gauge a customer that had previously used them two times and treat them like dirt. I will never use this company again and suggest anyone considering using them look elsewhere. Karim, thank you for your comments, we value and recognize your repeated business. As a three-time client you can appreciate that all our estimates are full disclosure. It's always refreshing to see a final invoice less than the estimate, especially when it includes last minute packing services and an extra pick up at a retail furniture shop enroute to your new home. We trust that you've now settled in and are enjoying your new residence.